Excerpt from JCYC Up Close Winter 2019 Chibi Chan Preschool, a Child Development Program of JCYC, is ramping up for its 30 year anniversary this coming April 2019. Since 1989, Chibi Chan has been committed to providing high quality, affordable childcare services for working families in San Francisco and the wider Bay Area. The program has been dedicated to fostering children’s cognitive and physical skills, social emotional competency, and creative expression, in order to establish a foundation for future learning. According to Chibi Chan Preschool’s Director of Child Development Programs Shana Kanzaki, who has been with the program for 21 years, “Chibi Chan strives to continuously improve the quality of its program and create a learning environment for both its children and teachers, so they can reach their full potential”. 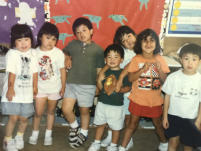 Chibi Chan was originally founded in 1989 by JCYC’s Deputy Director of Programs, Julie Matsueda. Julie said, “When we saw a need for affordable, quality childcare, we were excited to expand JCYC’s services to include preschool back in 1989. What unfolded over the next three decades can only be described as a true gift – each year the staff of both Chibi Chan and Chibi Chan Too create a safe, nurturing environment for children to learn and grow and where parents are involved in their child’s development. Now, 30 years later, many of the past preschoolers are sending their own children to Chibi Chan or Chibi Chan Too…the Chibi Chan family continues to grow – I love it!! !” Kanzaki remembers joining Chibi Chan as a teacher in 1989 when the program was then located in the Pine Methodist Church in San Francisco’s Richmond District. At that time, there was only one classroom and a small court yard, which served less than 12 children. 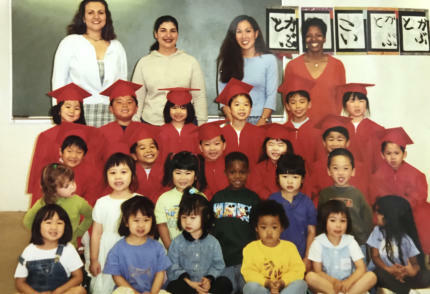 That quickly changed in 2001 when Chibi Chan Preschool relocated to Rose Court and quadrupled in size, serving over 56 children in three age appropriate classrooms. The outdoor play space expanded as well. To address the high need and demand for quality, affordable early childhood education programs in San Francisco, JCYC opened a second site in October 2017 – Chibi Chan Too. Chibi Chan Too is housed in the newly renovated Booker T. Washington Community Service Center (BTWCSC) in San Francisco’s Western Addition. Chibi Chan Too’s Site Director, Jennifer Yip, who is a 14-year veteran staff member, states “it’s exciting to see how much Chibi Chan has grown; I can’t believe we’re now serving almost 100 children and families!” To commemorate the 30 years of continued expansion of services, Chibi Chan Preschool will be hosting an adult- only celebration event on April 12, 2019 at the Zephyr Ventilation Showroom in San Francisco. The event will include current families, and also hopes to attract and reconnect with past alumni. Those who attend can participate in a silent auction, and enjoy light bites and drinks. “We take pride in promoting a strong community by building relationships between teachers, children, and families, so I anticipate that this event will sell out”, Kanzaki states. Ticket information will be released soon. To download a complete version of JCYC Up Close Winter 2019, click here. Excerpt from JCYC Up Close Winter 2019 Chibi Chan Preschool, a Child Development Program of JCYC, is ramping up for its 30 year anniversary this coming April 2019. 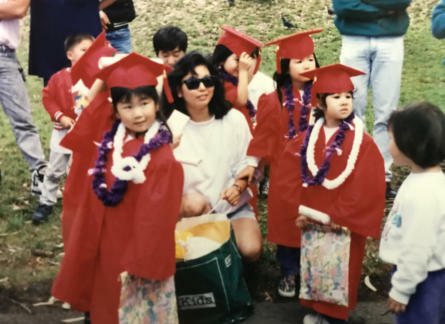 Since 1989, Chibi Chan has been committed to providing high quality, affordable childcare services for working families in San Francisco and the wider Bay Area. The program has been dedicated to fostering children’s cognitive and physical skills, social emotional competency, and creative expression, in order to establish a foundation for future learning. 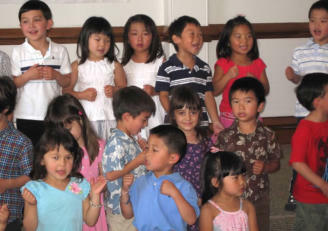 According to Chibi Chan Preschool’s Director of Child Development Programs Shana Kanzaki, who has been with the program for 21 years, “Chibi Chan strives to continuously improve the quality of its program and create a learning environment for both its children and teachers, so they can reach their full potential”. 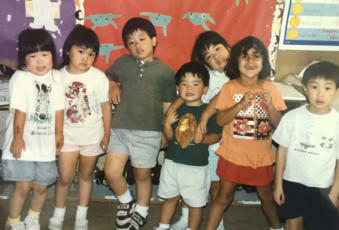 Chibi Chan was originally founded in 1989 by JCYC’s Deputy Director of Programs, Julie Matsueda. Julie said, “When we saw a need for affordable, quality childcare, we were excited to expand JCYC’s services to include preschool back in 1989. What unfolded over the next three decades can only be described as a true gift – each year the staff of both Chibi Chan and Chibi Chan Too create a safe, nurturing environment for children to learn and grow and where parents are involved in their child’s development. Now, 30 years later, many of the past preschoolers are sending their own children to Chibi Chan or Chibi Chan Too…the Chibi Chan family continues to grow – I love it!! !” Kanzaki remembers joining Chibi Chan as a teacher in 1989 when the program was then located in the Pine Methodist Church in San Francisco’s Richmond District. At that time, there was only one classroom and a small court yard, which served less than 12 children. 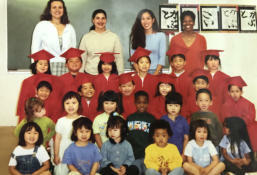 That quickly changed in 2001 when Chibi Chan Preschool relocated to Rose Court and quadrupled in size, serving over 56 children in three age appropriate classrooms. The outdoor play space expanded as well. To address the high need and demand for quality, affordable early childhood education programs in San Francisco, JCYC opened a second site in October 2017 – Chibi Chan Too. Chibi Chan Too is housed in the newly renovated Booker T. Washington Community Service Center (BTWCSC) in San Francisco’s Western Addition. Chibi Chan Too’s Site Director, Jennifer Yip, who is a 14-year veteran staff member, states “it’s exciting to see how much Chibi Chan has grown; I can’t believe we’re now serving almost 100 children and families!” To commemorate the 30 years of continued expansion of services, Chibi Chan Preschool will be hosting an adult-only celebration event on April 12, 2019 at the Zephyr Ventilation Showroom in San Francisco. The event will include current families, and also hopes to attract and reconnect with past alumni. Those who attend can participate in a silent auction, and enjoy light bites and drinks. “We take pride in promoting a strong community by building relationships between teachers, children, and families, so I anticipate that this event will sell out”, Kanzaki states. Ticket information will be released soon. To download a complete version of JCYC Up Close Winter 2019, click here.